How to start low carb / LCHF/ Banting - let's begin. Please read my disclaimer page. By continuing to read, access and use this website, Ditch The Carbs, you agree to be bound by the terms and conditions. Have you struggled with weight loss all your life? Do you have an appetite you just cannot turn off? Have you tried every diet and exercised relentlessly to never see any changes? Do you have diabetes, coeliac, PCOS, or allergies? Welcome to a new way of living – low carb and sugar-free. Ditch The Carbs is here to teach you, inspire you and support you. You will learn why you need to start low carb and sugar-free, why it is so healthy, nutritious and beneficial. There are 4 pages you need to read. This page is for anyone who is just starting out and wants answers to all their questions. It has the answers to all your questions so you can start low-carb. FREE 5-day meal plan – with a pantry guide, shopping list and measurement tracker. Shop for all the resources you need to start your transformation today. Easy recipes for beginners, recipes for families, guides, meal plans, shopping lists and even a progress tracker. A low-carb FAQ and quick and easy diet sheet. The best way to stay in touch is to subscribe to my email newsletter. When you subscribe, I give you instant access to my FREE eBook with my top 10 low carb recipes. I’m Libby Jenkinson. A registered pharmacist, mother of 3 and founder of Ditch The Carbs. One of the world’s top low-carb websites and run one of the most popular online low-carb support groups. As a trained pharmacist, I’m in a unique position to understand the science behind low-carb living. I have witnessed for decades the effects of chronic high blood sugars in my patients. An ever-increasing number of medical professionals are telling their patients WHY they need to live low-carb, I can teach you HOW to live low-carb. I have helped more people regain their health in the last few years by using the low-carb approach, than in my 25-year career, dispensing medication. I have gained and lost weight my entire life. In 2013 I discovered LCHF. I questioned everything I have ever thought about nutrition. It led me to an incredibly healthy way to eat. There are no processed foods, only wholesome, clean foods that help me to lose weight and prevent the big 4 – heart disease, Type 2 diabetes, Alzheimer’s and cancer. I no longer count points or calories. I no longer am a yo-yo dieter. I have been at goal weight for over 5 years and am finally in control of my appetite. I wanted to retrain as a dietician or nutritionist so I could teach others what I have learnt. Sadly there are no low-carb degree courses. I would have to learn the traditional low-fat guidelines just to gain qualifications whilst doing my own LCHF research, it would have cost me $10,000’s, impacted incredibly on the family and I would have probably ended up working part-time helping only a few people. Therefore, Ditch The Carbs was born. It has grown incredibly fast. It is the no.1 recipe website in New Zealand and Australia. I now also write for Huffington Post, Buzzfeed and Diet Doctor. DTC is so much more than a website, it is support, inspiration, articles, testimonials, the latest research and of course recipes to plan your weekly meals. Great stuff that you have a low-carb friendly Dr, you're lucky! And thank you for your kind compliments about my website, I am so pleased it is helping you. Hi Bob, I’m afraid they are not Kindle books but an eBook PDF. I’m not sure if you’re kindle can read those? Do a google search, or use your favorite search engine), for “convert pdf to kindle”. There are plenty of ways to do it. JUST DON”T FORGET TO GET AUTHOR’S PERMISSION TO CONVERT FOR your PRIVATE USE. any chance you can come up with recipes that don’t use almond OR coconut flour? I can’t eat either, and what a pain that is. I’m curious how much weight did you lose when you started out on low carb and how long did it take? Hello, first thank you for your books, love them. We are as a family low carb since last june, but it is hard for my daughter who seems to have a hard time digesting erythritol, but would love sweets , especially on events with other teens. Can you please tell me what to use…we use Stevia but it as an after taste…thinking of going to raw local honey..but…thank you for your help. Awesome question! Read this article Ultimate Guide To Low-Carb Sweeteners. I discuss what I use and what I avoid. I personally don’t use honey because it is still sugar, just in another form. There are lots of stevia products coming onto the market which may suit her, or have you tried Monkfruit? It may be a case of trial and error until she finds one that she can tolerate. Stevia comes I drops, concentrated powders and some are mixed with erythritol so they measure spoon for spoon, so make sure you read the ingredients carefully, back they may say stevia, but actually contain both. Please could you advise where you get your nutritional information from please. I would like to line mine up with yours. Great question. I use cronometer.com as it is the most reliable set of data. I avoid apps such as My Fitness pal or anything which allows “user added” entries which are incredibly inaccurate. Made my 1st fathead pizza today. It was pretty good for a first effort. However, it really only yielded 4 nice pieces. No complaint there at all, just never got that sort of diameter out of it, despite rolling it out quite thin. WAS FILLING, as you had said it would be. 2 pieces and I was done, and that was only my 2nd meal of the day, AND my last. 1st pizza in a year and a half! Hi Libby, I seem to have been following your blog forever! I went fully low carb in 2011 and also blog but more privately. You have done an amazing job with your wonderful recipes and information and I love that you have kept your blog and recipes free. I was interested to read about how you wanted to become qualified in nutrition but had to go down the “low fat” route to get there. I too discovered this back when I was interested in getting some sort of nutritional qualification. I’m not just happy to help others who ask what it is that I do. What a brilliant low-carb bake off! I’m so pleased all my recipes were successful, albeit with longer cooking times. I wonder if I have a powerful oven? Enjoy you hard work, and yummy creations. Hi Libby stumbled across your site when i started my LCHF diet and by far think its the best i have seen, have already bought both your recipe books and loving them. My only issue os that i’ve tried to sign up for the newsletter twice now but im still not recieving anything? If theres anything that can be done that would be great as i would love to get regular updates. And thank you so much for the informative articles and great-tasting recipes!! I can always refer here when I need something low carb. I am from Hong Kong and I am a new mom. I have been changing to moderately low carb (or call it carb-conscious) lifestyle for over 1 year, and like it! Sadly in my city, resources about low carb is unbelievably scarce and I am quite an alien (rice is the soul in Asian diet culture…). So I am very glad to have some reference here! 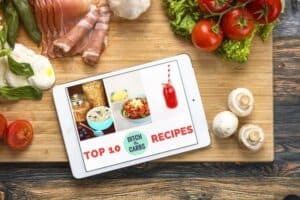 My doctor recommended that I start a low-carb diet, recommended this site to learn more, and said that there are 10 questions that I should honestly answer to determine my starting or set point. I’ve searched this site and do not see any reference to the 10 questions. What have I missed and can you direct me to the right place? Thanks in advance. Wow, what a superb doctor you have. Stick with them. They may have been referring to my low carb FAQ page that has a diet sheet also. Also look at all my articles here. Great page! I’m new to this carb conversion life style. Congrats on Googling numero uno all the way in Baltimore, MD. I look forward to being part of this community. My mean doctor seems to think my diabetes and heart disease may have been staved off had I exercised some common sense earlier in life. That being said I’m sure I’m not the only 46 year old with a nasty scar on his chest and a sudden urge to live a wee bit better. I’ll be checking in often and learning from everyone willing to teach me. Keep rocking the info. I’m going to try the calamari tomorrow and blog about it. I’ll give this life changer page credit of course. I’m anxious to see my results today. My doctor had me do two test. One on meds and fasting…a week later one with no meds and not fasting. Even had to drink juice. Should be a fun science project to say the least. Ok. My fasting results from two weeks ago were identical to my non fasting no insulin injection results two weeks later. The experiment even had me drinking juice before the test!! Pretty excited to see that a low carb diet could have this drastic of an effect. I even lowered insulin amounts during the two weeks of 80 a day carb dieting. My blood sugar normally hovers in the very high 200’s to low 400’s. That’s because I normally eat a bunch of crap. I have an appointment in October. We shall see if my 120 average exceeds the doctors expectation. Great question, I have never found a “like for like” substitute for cornflour. I either use less liquid to begin with so the gravy in the slow cooker is naturally thicker, or I remove some liquid/gravy and heat it on the stove with some cream cheese (not the soft spreadable type, the full fat block). That makes an amazing sauce. Great question. Tiger nut is grain free but has 63% carbs “It’s considered a good flour or additive for the bakery industry , as it’s natural sugars contents is really high, avoiding the necessity of adding to much extra sugar (good option for diabetics)” Unfortunately I don’t think they comprehend that carbs raise blood sugars as much as sugar does. It is sold as “sweet and gluten free” so the clue is in the name I guess. I would avoid its there are much better alternatives. See this post, my Ultimate Guide To Low Carb Flours. looking at granola recipe. any ideas for substitute for coconut flakes? Hi. I love your website! Before I got pregnant I used your site all of the time. I’m curious about the calorie guide on your recipes (now that I’m trying to lose a lot of baby weight, I’ve been monitoring my calories). Is the total amount for one of the item made? Could you explain a little please? Thanks! Hi and welcome back. The nutrition is per serving size, so if a recipe states it will serve 6, it is the nutrition for 1/6 of the recipe. There may be a few occasions where it is per item, such as pepperoni meatballs makes 35 meatballs so the serving size is per ball as some may wish to have one or two as a snack. Your anti-wholegrain crusade is nonsense and criminal in its potential harm to people’s health you should be exposed for the incompetents you are. Why? Is there and essential wholegrain I am unaware of perhaps? It makes me wonder what that person came here for in the first place libby – Keep up the great work, Ive been LC for 18 months now and never felt better. Good afternoon! So excited to find your site! Thank you for all of the amazing information. I’m struggling to find good information on LCHF and fout. My husband has suffered from gout in the past and he is concerned this will cause a flare up for him. Any resources or information that might be helpful? Thank you! Here are a few resources you may like to read. Gout is caused by raised uric acid levels. This is interesting – “Recent open study of a low-carbohydrate and high-protein diet featuring preferential monounsaturates in the fat component of the diet and tailored for insulin resistance, however, appeared promising for patients with gout.” Read further here, here, here and here. Thank your for this amazing website! It’s such a comprehensive and helpful resource. I have an autoimmune condition that has gone into remission thanks to me changing to a low carb diet, and I appreciate all the help you provide here for low carbers. I am so enjoying your recipes. I have recently changed to a low carb keto lifestyle and your recipes have made the transition so smooth. The smaller portion recipes work well for the two of us. Thank you for all of your hard work and for sharing with us. Uhhhhh, thank you for letting me know. As much as I report them, they sneak on in. I’ll get onto it. Like you I live in NZ, wonder what brand of sausages you buy, most brands I see have the wrong carbs in? Hi Stef, how lovely to meet a kiwi here. Sausages can be a pain to find the prefect one so I just find the best I can. I first of all choose the ones that are 85% or above meat, and have less than 2% carbs. This indicates it has the least amount of fillers possible. Yes they may have a little wheat or rice starch in there, but if it is only 1% then I’m not going to reject them. The pre cooked variety and value packs I wouldn’t touch at all, they can be up to 25% carbs which indicates all manner of rubbish is in there. Do the best you can with what is local and handy. I also refuse to buy beef ‘flavoured’ or pork ‘flavoured’ sausages. There are some great butchers out there that make amazing sausages. Seaview meats in Milford are amazing. Buy in bulk and stock up the freezer. I’m a retired physician, and very interested in the Low carb, high fat diet, having been on statin drugs for 40 years, possibly unneeded. Since there are 3 main food groups, I would like to see more info about quantities of protein/meat to eat in balance with the concept of low carbs and almost unlimited fats. In other words, excessive protein can be as bad as too many refined carbs? At least info on this aspect of proteins would be appreciated. I mention the macro quantities on some pages, but really I like to steer away from being too prescriptive. I give the carb variations (low, moderate, keto) and protein (1-1.5g/kg ideal body weight) for those starting out, but I want it to be as easy as possible and sustainable. Too many low carb critics say we are too difficult to follow and complicated whereas I find it is the exact opposite. I started to count macros but soon stopped once I just knew what to eat and what to avoid. I completely agree, too much protein should be avoided, but also too much fat. Fat should come along for the ride with the meat that is served and full fat cream, dairy, recipes etc but not in excess. Fat should be coming from our food, or our waistline. It will take some getting used to but as long as we base our meals on whole food that happens to be low carb and avoid low fat but eat healthy fats, then it is easy to follow long term. I’ll try and mention this a bit more in my posts, thanks for raising the discussion. please explain what 1-1.5 g/kg means in USA terms. I live in Missouri and am trying hard to figure out what is the best protein amount is for me. I’m over 60 and don’t want to lose any more muscle than I already have . Great question. There is debate about how much protein is ideal but 1.5g-2g protein per kg ideal body weight, equates to 0.7-0.9g per pound of ideal body weight. Just wanted to say how much I adore your website. It is my go to for finding new lchf recipes and new inspiration for cooking and creating lchf food. I am still just dipping in and out as I need some time to sit down and read your books but over summer when I’m not teaching I hope to do lots more reading of your literature. Yay, I love it when kiwis discover me and I love that you are enjoying my recipes. I think I’m the little secret website in NZ that is famous worldwide but not so much in my own backyard. First would like to say thank you for all of your amazing recipes. Low carb diet has really made all the difference in my daughter’s A1C (she has Type 1 diabetes). Since starting this, I’ve made multiple attempts at creating a low carb recipe for Koulourakia -Greek Easter Cookies without success. I see you have a few Greek recipes and wondered if you are familiar with this one to offer some advice. I just can’t seem to substitute the flour correctly in order to still be able to twist the dough. I would really appreciate any suggestions you might have. Sorry Laura, I’m thrilled that my website and recipes are helping you and your daughter’s T1D. Have you joined TyoeOneGrit yet? They are a fabulous group of T1D using low carb to achieve fabulous control. They are a supportive bunch who will help in so many ways. As for your cookie dilemma, I have never made these. Anyone else here made these low carb with success? What are your thoughts on coconut yogurt? I would absolutely love it if it weren’t so darn expensive. Maybe I’ll try and make my own. I still have a yoghurt maker in the cupboard somewhere. Hi Libby, I am hoping you can answer this. Since I live in the U.S. I’m hoping that you can tell me where you got those adorable bottles shown in the picture for the ketchup. Are they available for sale somewhere still? Hope, hope, hope? There are plenty of online programmes and apps you can use, but if you want a print version, take a look at these on Amazon which might help you. How has your low carb, grain free lifestyle for your own children been received by their doctors? My son is a Type 1 Diabetic and is thriving with beautiful blood sugars due to this new way of eating. He is happy, healthy, and overall feeling more “in control”. His doctors however have concerns that his nutritional needs might not be met with me limiting his carbs. Just curious if you found acceptance or did you have to advocate for them that this was the best choice for your family? Thank you so much for your time! My doctor is incredibly supportive, she understands well the importance of nutrition and there is no need for children to be on a high carb diet, diabetic or not. I hear this all the time that dr’s are reluctant to recommend low carb for growing children, which is why I keep on emphasising we are LOW carb not NO carb. A high carb diet is so damaging in so many ways. If you are not already, follow TypeOneGrit Facebook page where other parents of diabetic children are incredibly supportive and can help you face the doctors office next time with a wealth of knowledge that supports low carb for diabetic children. Hi Libby, I want to thank you for the wonderful insight and recipes on your website. Thanks to you and the information provided, I think a lot of my fear of going LCHF has been conquered. I’ve done Atkins in the past and went gluten free (mostly) for about 2 years but have since fallen off the wagon. I have joined and rejoined WW more times than I care to admit. You get the picture, a lifetime of one diet or another with varying degrees of success. I had always felt that WW was the most reasonable ‘lifetime’ program until recently with their new program, Smartpoints. There were always things I didn’t totally agree with but was able to make it work for me. But Now, with them demonizing saturated fat and still pushing low and no fat and processed foods and the lousy app and changes in the website, I feel it is not for me. But….I need something! I am in agreement with most if not all the principles that you talk about so I am excited to begin this new journey! I am hypothyroid and have about 80 lbs. to loose. My main question today would be that my husband does not need to lose weight and though I totally agree that he can also benefit from a lifestyle like this, I am at a loss on how to make sure he gets enough calories and nutrition without foods being around that totally tempt me. Any suggestions would be greatly appreciated? Thanks again Libby and keep up the great work! Hi Tammy, Great news that you are going to start the low carb journey. By avoiding the high carb and processed foods that you once relied on, you will not be deficient in any way. If anything, you will both be gaining on the nutrition front as you will be basing your meals on good quality proteins and plenty of vegetables and healthy fats, so no worries on either the nutrition or calorie counts. He may feel he could afford more carbs than you if you are wanting to lose weight and he does not. Make sure his carbs come from nutrient dense sources such as berries, nuts, dairy, and some coloured root vegetables. My husband and children eat more carbs than I do as they are all metabolically healthy, in the healthy weight range and active. You will both feel incredible after ditching the carbs and the processed foods and getting those healthy fats back into your diet. All the best, Libby. Good morning, Well at least on my side of the world. I was wondering if you know of a substitute for zucchini and squash in general. So many of the recipes I look at today call for this wonderful veggie that I am so highly allergic to. Can you eat pumpkin? That is a little higher in carbs and needs cooking but might be a good swap? Hi, I would try cabbage noodles in some applications. And cauliflower “rice”. You can also make noodle substitutes from carrots – but they are a little higher in carbs than zucchini/squash. Hello Libby. I came across your website while searching for a LC brownie recipe (thank you)! Little did I realize you are in NZ, so I’m loving the site even more. 🙂 I cannot wait to try many of your recipes! Thanks for your hard work in educating the mass on LCHF eating. Fantastic job with this website. I especially love the fact that you have a section for kids. Well done! Wow thanks Nina, this is praise indeed coming from you. I am constantly referring readers to your incredible book and TedX presentation. You are so highly regarded in the low carb and scientific community. The Big Fat Surprise is so well researched and written, it is the go-to resource for those wanting to learn how the food pyramid has got it so incredibly wrong and why it still continues to this day. I am so glad you like my section for kids, I knew once I went LCHF I wanted my entire family to eat the same way. So many parents want to do the same and I’m hoping I can show them how to do it without a mutiny in their hands. Thanks for your support, Libby. Libby, You have a great site. I love the idea of low carb but everytime I try I get serious depression that I cannot even function. Any tips? I am very excited to have found your site, thank you so much. blown that myth away in my own mind for some years. knowledge amongst care staff, your recipes are going to be brilliant to share with them. Just got your recipe book. Wish I could use but having a hard time with g and ml conversion. Hi Libby, I have just discovered your site and it looks great and I’m keen to try some of the recipes. I do have one question though, why is it ok to eat processed meats like bacon and ham when all other processed food is avoided? I thought processed meats were full of nitrates and had been linked to cancer causing carcinogenic by products in them? Or is that just burnt meat?? Should they not be avoided like any other processed food?? I’m so thrilled to have found your site. This is one of the only sites I found that has information about the LCHF lifestyle for kids. My question is: how do I switch to this way of eating to lose weight, but still include my husband and children? I don’t want to make three separate meals. Also, one of my two children is very picky. (I noticed some helpful tips about that, so thank you!) My little girl has sensory issues, textures, smells bother her. My little boy has texture issues too, everything has to be bite sized. I’m hoping the increased nutrition from the LCHF way of eating will help us all be healthier. One more question: what is the best way to transition my family to this way of eating. Doing it all at once doesn’t work for us. Thank you so much and keep up the amazing work! I can’t give medical advice so you would have to speak to your GP regarding their medical situation. I can help you with the practical side of switching to LCHF however, then ask away. Hi Libby, I’m about to row across the North Atlantic on a 3 month unsupported venture. I’m doing it LCHF and am filming a doco incorporating the nutritional benefits of such a life style. I’d like to discuss this and a couple of other ideas with you if you have the time. How is best to contact you? I have recently found your website. It is great. We have been paleo for some time yet have recently adopted LCHF as I felt I was having too much fruit/carbs on paleo and not curbing sugar cravings. I have 2 questions for you, I hope you can help. I am also a mum of 3 children with 3 very different tastes. Slowly try to change their food too. Number 2 is quiet a fussy eater; loves veggies so thats great but really hates anything with fat! She would be a raw vegan if I let her choose! Its texture related. She likes food that has crunch! So won’t eat butter, cream, avocado, Yoghurt, eggs, takes fat off bacon, meat etc. So basically I am worried without the carbs she is not getting enough calories/nutrients. Any ideas to sneak more fat in? Thanks Libby. Some great ideas. Made the nut butter on apple slices, it was a big heat. The cinnamon crunch sadly was not popular, though I think it is delicious! Will try a few smoothies this weekend. Making a batch of ‘peanut butter’ cookies as I write. Thanks again for your very helpful website. Libby, your website is fantastic and as a blogger myself, something I aspire to! Like you I found that I don’t have to count calories, I just listen out now to see if I am full. And after decades of yo-yo dieting this was something new. I too am passionate about spreading the message and helping people educate themselves. Isn’t it fabulous after years (decades) of counting, we don’t count anything any more. It is so liberating and not restrictive like so many critics claim. Hi Libby – just discovered your site – very exciting – looks easy to follow and lots of great ideas. I am in Auckland too – just wondering if you have any sausages that you would recommend? Also, my 10 yr old daughter is going through a ‘don’t want to eat meat’ stage and am finding it difficult to find things for her to eat that are low carb and not meat based – at the moment it’s haloumi cheese and eggs but even the eggs are something she would prefer to avoid! Will try out some of your suggestions on the site. One last thing – what is your opinion of the atkins range of bars as a low carb snack/treat? Hi Cindy, always choose sausages that are more than 85% meat and have no wheat fillers. Most of the regular gluten free sausages are OK. As for her going off meat, will she eat in tuna, fish, chicken dishes? Rather than meat and veggies, slow cooker meals with a sauce (like the malaysian beef curry etc) or stir fries are a great way to disguise meats and give lots of veggies at the same time. And as for Atkins bars, I wouldn’t have them as they are expensive and incredibly processed, go for real food when possible. Hope this helps. Libby. Great website and info. You promote LCHF lifestyle which I applaude but Weight Watchers has an ad banner below? Wouldn’t it be better to have a low carb program/lifestyle advertised? Last time I checked WW wasn’t an advocate of this lifestyle. Just a thought! Hi Libby, I have just found your website and am very excited. One thing though, I suffer from Osteoarthritis in both knees and hips!! Can I still follow this type of eating plan? I’ve just found your site and I wanted to say it is fantastic! I’ve been eating LCFH for about six months now and I’m absolutely thrilled to find such an informative and easy to read site. Looking forward to following along. Wondered if you would like to add this recipe from South Africa? The only carb ingredient is the slice of bread that is used to combine the meat and spices. I made this and instead of rice made the cauliflower rice. I’ll leave the link up so others can go take a look. The carbs are from bread, apricot jam, rice and raisins but readers may want to replace these with low carb options. Pardon the pun but certainly food for thought or should it be thoughtful about food? I’ll chew this over some more. Interesting tho. Hi Libby. I was directed to your blog by Barbara Anello. Great information. I started LCHF in May and lost 17lbs but got waylaid by the huge renovation of my house and the many difficulties that arose and so while I maintained this woe for the most part, I did indulge myself by eating bread, pasta, rice, potatoes and a little bit of fruit. As a result, I gained back 7lbs in 3 months. I started a challenge in Barbara Anello’s LCHF group on September 2nd and in 5 days I have lost 8lbs so a grand total of 18lbs with many more to lose. I am beginning to embrace this way of eating and I am determined to make this a lifelong healthy choice. Thanks for sharing the wealth of information you have accumulated throughout your journey! Can’t find any contact details on your site, and your e-mails are ‘do not reply’. 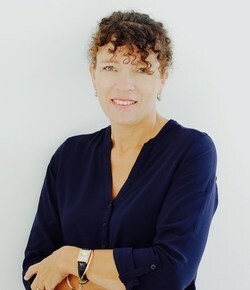 Hi Libby, just found your blog and I have to say it’s super ( lay out, design, recipes, health info, links, research etc) I’ve got small kids and was looking for LCHF kid friendly ideas of which you have plenty. Keep up the good writing & recipes and a big thanks! You mention using Coconut Cream in several recipes. What is this and where do I buy it? Hi Barbara, Coconut cream is the full fat version of coconut ilk. You can but it at any supermarket. It will with come in a tin or box. Take a look at the different brands as they can vary dramatically. The coconut cream I use is about 20-30% fat and less than 3% carbs. Take a look here too. Hope that helps. I have a wordpress blog and would love to follow you but don’t know how. Any suggestions? Hi Jenni, There is s ‘subscribe’ button on the right hand sidebar of my website. Once you subscribe, you will receive a free 7 day low carb meal plan and free recipes each time I post them. I look forward to you trying out my recipes. It seems like I have a big following from South Africa. Kind regards. Libby. A great site! Thoroughly enjoyed reading through and looking forward to more! Thanks Neil. I so glad you found it interesting. Keep coming back for more updates and recipes. Hey Libby! Thanks for checking out SFL-I’m loving on your blog too! LCHF solidarity! Thanks Dean. I think Paleo, Primal and LCHF all have a lot of similarities in that they all base themselves on real, whole, unprocessed food. I use many of their recipes but choose the ones which are low in carbs.